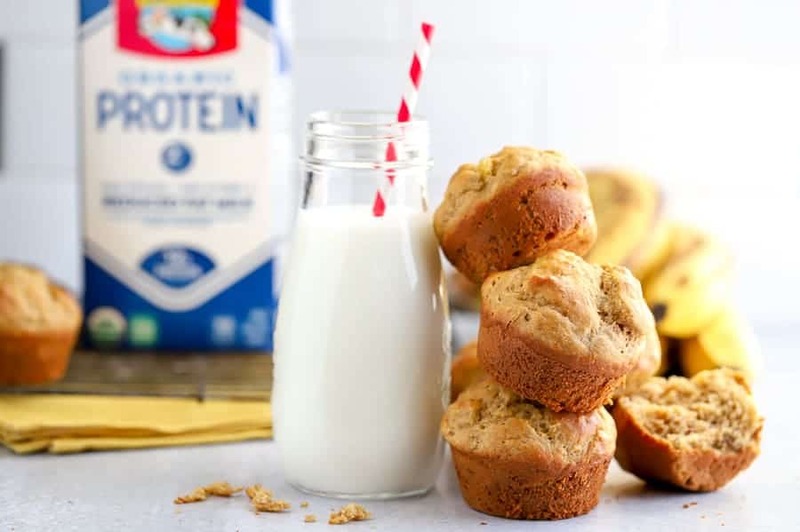 Gluten free banana muffins served with a glass of cold Horizon Organic Protein Milk are the perfect addition to your morning routine. Easy banana muffins are moist and flavorful and, better yet, these golden brown beauties can be on your table in less than 30 minutes! 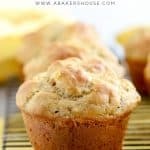 Banana muffins are a favorite breakfast at my house. My son likes to bake muffins with me—blueberry, chocolate chip and banana are the most requested varieties. I love this time of year when we’re heading into spring but still holding on to winter. In Colorado that means a snowy day sandwiched between two sunny days. A warm muffin for breakfast is often just the solution for a brisk morning. 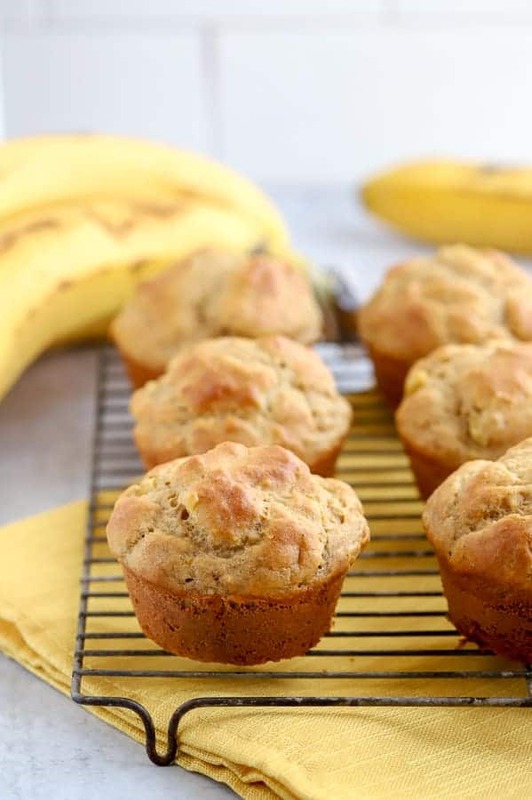 Bake these banana muffins ahead of time and freeze half the batch; they reheat beautifully! Starting the day with protein is a priority for my family. Horizon® Organic Protein milk is an excellent source of protein as well as Vitamin D. It has 12 g of organic protein per 8 ounce serving. Horizon® has been producing organic milk for nearly three decades. The launch of Organic Protein milk is special because this is the first organic high protein milk available. 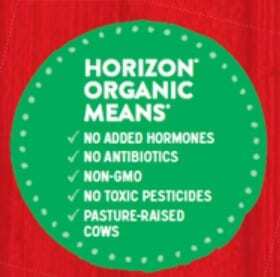 Only a small percentage of all milk sold is USDA certified organic and it is a quality that Horizon® takes very seriously. Horizon® believes in sourcing the very best ingredients for their organic products and works with nearly 700 certified family farms in 23 states. You can read more about Horizon’s® values, processes, and company’s history on their website FAQ page. 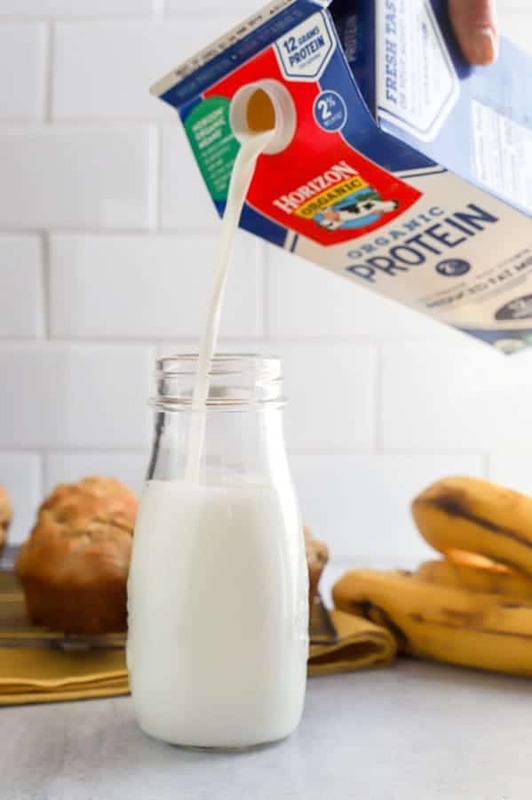 Shop for Horizon® Organic Protein milk at Sprouts Farmers Market’s ORGANIC SALE running 4/3/19 – 4/17/19. Find the location of your local Sprouts Farmers Market here. Horizon® Organic Protein milk is available in Reduced Fat Chocolate, Reduced Fat Plain, and Vitamin D (whole milk). Baking with top quality ingredients is important to me so Horizon® milk is an easy choice. 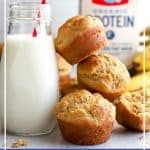 How do you make gluten free banana muffins recipe? Whisk together the dry ingredients of gluten free flour, xanthan gum, baking powder, baking soda, cinnamon, and salt. Combine the wet ingredients of eggs, Horizon® Organic milk, and vegetable oil. Fold the wet ingredients into the dry. Stir in the mashed bananas. Spray muffin tins with baking spray. Fill with banana muffin batter. Let’s start baking with ripe bananas. You know—the speckled bananas that are slightly mushy. I wouldn’t turn away an overripe banana either! If you only have firm, yellow bananas here are some tricks to speed along the ripening process. Place the bananas in a brown paper bag overnight. Add an apple to the bag to encourage the bananas to ripen. Science is amazing and the gas that a ripe apple lets off actually speeds up the banana ripening! Peel and slice the bananas then roast in a 400 degree oven for 15 minutes. You may even sprinkle the bananas with 1 tablespoon of brown sugar before roasting. Use the microwave. Leave the peels on the bananas, slice a few slits into the banana peel and then microwave for 30 seconds. 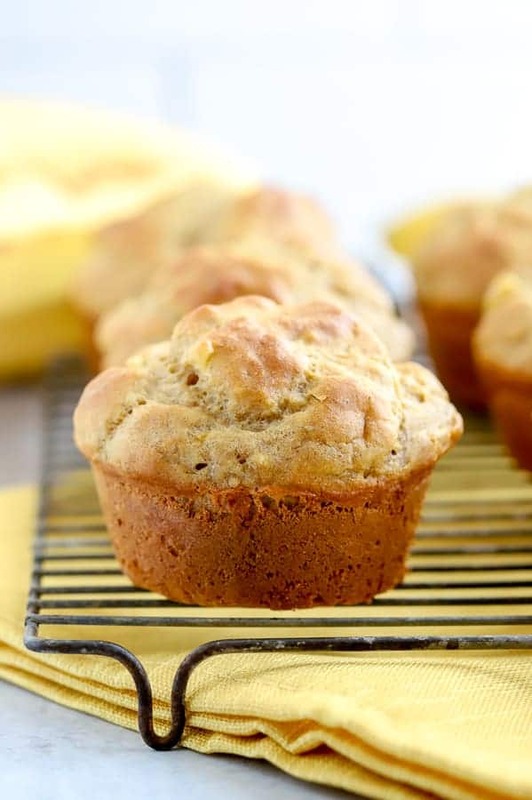 There is no need for fancy equipment in this banana muffin recipe. Muffins follow the quick bread technique which means that no yeast is needed to help the muffins rise. Not only is the process quick but with muffins the baking time is fast too! Only 20-22 minutes. Do you want these muffins to bake even faster? Bake mini muffins and cut the baking time to 12 -14 minutes. Start by mashing the bananas with a potato masher or a fork. Combine the dry ingredients with a whisk and then the wet ingredients in a separate bowl with the same whisk. Fold the two together then stir in the mashed bananas. The batter will be somewhat thick. Paper muffin cup liners make for easy clean up but are not a requirement. (Often I’ll find that muffins rise into a higher dome shape if you use muffin liners.) No liners? No problem. Simply spray a 12 tin muffin pan with baking spray then fill with banana muffin batter. I think filling the muffin cups with batter at least ¾ of the way to the top is just right. These beautiful classic muffins rise like a bakery style muffin—the type where the muffin top is domed, larger than life, and definitely not a one-bite treat! What else could I add to these banana muffins? We love playing with our food and if making flavorful muffins helps your family come together over breakfast, then we are all for it! 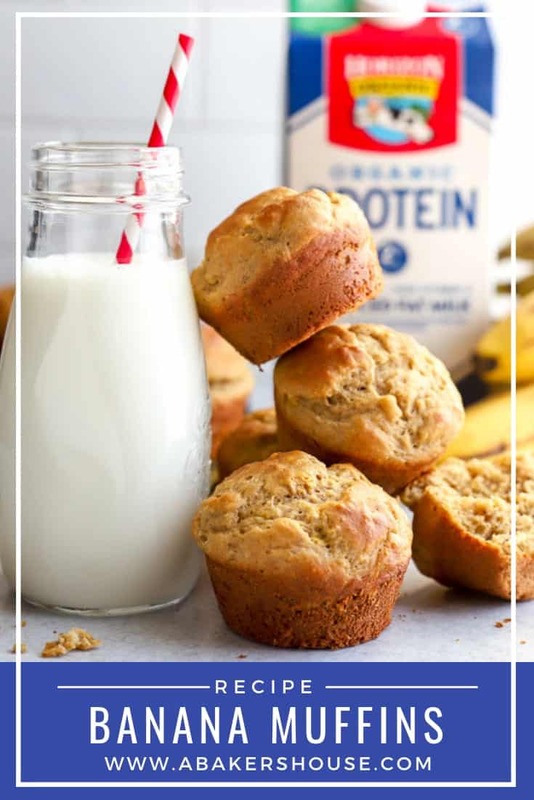 Add chocolate chips, blueberries, dried bananas, raisins, dried apples, mini chocolate chips or even toffee bits to the batter of these gluten free banana muffins. Toast pecans or walnuts and add a cup of nuts to the batter to make gluten free banana nut bread. Top with oats, a gluten free streusel, or chopped nuts. Of course, if you don’t need a gluten free muffin recipe, feel free to use all purpose flour in the same amount for these banana muffins. Omit the xanthan gum powder as well. How long do banana muffins last? Muffins last at room temperature in an air tight container for 1-2 days. You may refrigerate them for 5-7 days, although refrigeration might dry out gluten free muffins. Muffins freeze very well too. I like to wrap each muffin in plastic wrap or aluminum foil then freeze the muffins in a freezer safe container. When you are ready to enjoy the frozen muffins, let them defrost in the refrigerator overnight then microwave the muffins on high for 30 seconds. In a pinch for time? Microwave the frozen muffins for 60 seconds (per single muffin) and take your warmed muffin on the go! Looking for more muffin recipes? Here you go! Thanks for leaving such a kind comment. 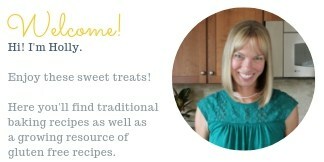 I am so happy that your family enjoyed these banana muffins!